Posted by Eric Roberts on December 1, 2016. 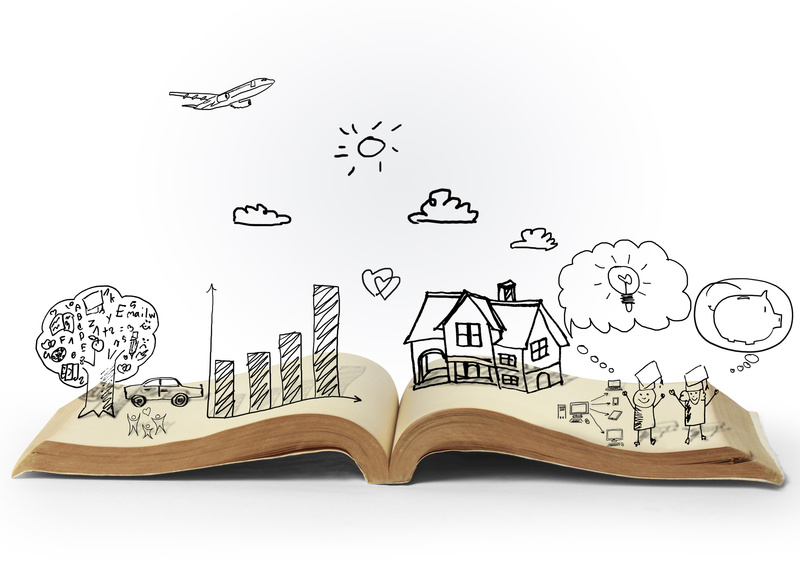 Storytelling is a great opportunity to widen a child’s imagination. In this article, we share with you 7 unique activities to make the experience a lot more fun. Children develop their imagination at a very young age, and through activities like storytelling, you can help your child develop his/her language skills and help them think creatively. Storytelling is an ancient practice which kids greatly benefit from. As children listen to stories, they hear speech inflections and other words they would not commonly hear in a normal conversation. Further, storytelling also helps them develop a good memory, as they learn to remember key points from the plot and character names. Storytelling has a lot of positive impacts, but getting them to listen to you isn’t always an easy feat. They can either get bored or prefer to play with a toy instead. So, when you are reading them a story, do not limit yourself to a book. Here are some fun storytelling activities to do with your kids. Create your own animal pals with some wine corks and Styrofoam balls. Just stick the Styrofoam ball on top of the wine cork, and paste a layer of tissue. Once it dries, you can paint them into your favorite characters. Legos are not just for building blocks. You can also use it for your storytelling activities particularly in building characters. You can make your own puppet theatre using old shoe boxes. Kids will definitely enjoy hearing stories from these interactive characters. Make the story a lot more exciting by getting the kids involved. You can tell a story through a scavenger hunt where they would need to find key objects related to the story. Apart from making puppets, you can also help children envision the story better by painting the characters. You can use materials like rocks or paper plates. It can also be a great activity to develop their fine motor skills. Ask them to paint a rock how they imagine a character to be. Does the main character have a blue face with three eyes or maybe a yellow worried smile? Help them express their imagination through creative activities. Reading is a great exercise to develop word association. To help them exercise this part of their brain, you can use flashcards with words related to the story. Instead of just reading through it, you can turn it into a learning activity by flashing the words as you go along. Young children are visual learners. So, if you want to introduce new words into their vocabulary, show them a photo of the words. Turn storytelling time into a fun bonding experience with your kids. Take this as the perfect opportunity to get crazy with them. Dress up for the role and help them express their imagination. Reading them a book may seem like a mundane task, but through its simplicity, children gain a lot. They learn about virtues and culture. Their verbal proficiency is enhanced. Their listening skills improve. And most of all, it encourages creativity and demonstrates the power of imagination. Ericson Roberts is a staff writer for FeelGoodContacts. He enjoys taking his sons out for a game of catch, and transforming ordinary parenting techniques into a fun-filled learning experience. They say a way to a man’s heart is through his stomach, while for Ericson, the way to a child’s heart is having fun.